CREATING HEALTHY & BEAUTIFUL SMILES! Cosmetic Dentistry primarily deals with the aesthetics of the face for a beautiful and naturally glowing smile. This treatment can be used to lighten, straighten, reshape or repair your teeth. Today, cosmetic dentistry in Pune has gained a huge popularity. Most people understand the importance of an attractive smile in social life and career. They are now turning to cosmetic or aesthetic dentistry to improve their appearance. 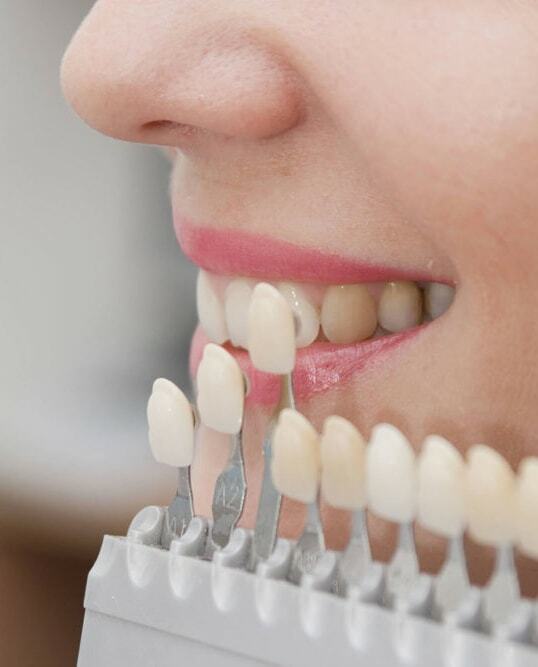 There are many aspects involved in Cosmetic Dentistry. It is a thought process that includes all forms of treatments, from teeth whitening treatment and shaping to closing gaps and replacement. The team at NDCP encourages more natural treatments and offer solutions by using different skills to give patients a look that they want. When they smile it should increase their confidence and give the person across them also a reason to smile. Cosmetic dentistry does not necessarily mean extensive treatments sometimes even a small adjustment to a few teeth can make a remarkable difference. Treatment of Stains/ Fluorosis/ Hypoplastic teeth. Smile Planning for weddings or big occasions!